Although very busy in his office schedules in addition to personal and spiritual activities, Alex ensures that some of his time is allotted for community service by giving inspiring speeches and reaching out distressed Filipinos. He has uniquely served his fellowmen by offering free legal counseling and labor assistance. Although he is not a lawyer by profession, his exposure to labor disputes as part of his routine work in personnel administration, recruitment, training and employee affairs in the Saudi Arabian environment rationalized his familiarity with the host country’s directives. Alex received the title “KaBayani” in acknowledgment of the honors conferred upon him by ABS-CBN and the Ugat Foundation for being a country winner and regional finalist in the Bayaning Pilipino sa Taon ng Bagong Milenyo (Gawad Geny Lopez, Jr.) He is also known as “Ka Alex” to the Filipino community in Saudi Arabia. Alex was born in San Quintin, a poor agricultural town situated at the foot of the Caraballo mountains in the eastern part of Pangasinan. His father was Simeon Asuncion, an OFW in the 50’s who worked in Guam for two decades – the fourth child of Marcelo Asuncion, a war veteran from Urdaneta, and Juliana Madera, a plain housekeeper. His mother was Estifania Edades, a part-time businesswoman – the third child of Severo Edades, a farmer from Bulusan, Dagupan City, and Teodora Bergado, also a housekeeper. The other children of Simeon and Estifania were Norma – a security agency’s liaison person married to Pedro Malinab Jr., Ofelia – a school teacher, Pio – a soldier married to Milagros Rivera, and Lourdes – an industrial engineer married to Eduardo Castro. When he was a high school sophomore, he became anemic and undernourished which took him almost a year to get well. His doctor advised him to take complete rest compelling him to get a leave of absence from his classes for several months. Life in the province was so difficult for their family that they decided to move to Manila. He continued his final year in high school in San Juan, Metro Manila. Having only one set of school uniform, he made sure it was washed and ironed in the night for his next day use. At the outset he lived with his big brother in a slums area in San Juan, and then finally joined his parents in a servants’ quarter offered free by the employer of his father. His long immersion in abject poverty and insight into the life of the poor and underprivileged has continually influenced his whole life. Poverty, however, has not been a hindrance to his aspirations but it served as an inspiration to reach them. In college, he paid for his own matriculations and books since he was also working at day time. His younger sister, Lourdes, at her tender age of 9 sold repacked garlic, black pepper, onions, and also did errands or carried bags and heavy loads of marketers for a fee to augment her income just to give him his transportation fares to office and school. He also assisted his parents pay for the school expenses of his older sister, Ofelia, until she completed her Bachelor’s Degree in Elementary Education. His father was never keen on the value of education as he was a first grader only. He bragged that despite lack of knowledge in the English language, he was able to work overseas. It was his mother who inspired them to study harder. He sent his younger sister, Lourdes, to college and she completed BS in Industrial Engineering. He wedded Teresita Balanon Marquez, from San Fernando, La Union, a conservative classroom teacher – in a civil rites officiated by Mayor Adelina Rodriguez of Quezon City on 23 December 1976. They bore three children – Marianne, Maritess, and Marlon Alejandro. Marianne completed her BS in Commerce major in Economics, while Maritess, her BS in Computer Engineering. Marlon, the youngest, is currently taking up BS Hotel, Restaurant and Institution Management major in Culinary Arts at the De La Salle – College of St. Benilde. Because of his love for his children he has always wanted them to be proud of him, which made him strive harder in his career. He believes that without hardships there is no success and success could not be achieved without making it. His strong faith in God coupled with tribulations that repeatedly come upon his way made him a stronger person. Alex has been recognized a model Filipino for his untiring quest for excellence in his endeavors and for dedicating his life by setting aside personal interest or gain in the service of his fellowmen, community and country particularly the needy, weak and oppressed. The POEA and former President Fidel V. Ramos bestowed him in 1994 the Bagong Bayani honors as one of the outstanding Filipinos in the world. The first OFW to write and explain in simple terms the primary provisions of the Saudi Labor and Workmen Law. He also authored a handout on the essential elements of the host country’s local laws based on his actual account and experience. The first OFW who was giving free legal counseling and labor assistance to fellow OFWs in Saudi Arabia. On his free time, he made regular visits to different localities and cities all over the Kingdom of Saudi Arabia, listened conscientiously to his countrymen’s woes and gave advice on Saudi Labor and Workmen Law. Moreover, he also conducted orientations on Islamic and Workmen Laws in pre-departure seminars at POEA in his annual breaks. The first OFW who helped a fellow OFW in Saudi Arabia to be acquitted of murder without the direct assistance of lawyers and the Philippine government. He guided him through legal formalities and obtained the necessary documents to prove he was innocent until this Filipino was acquitted and sent back to the Philippines in 1993. The first OFW who was conferred the honorary title of Labor Attaché in Saudi Arabia, giving him complete authority to perform labor assistance to his compatriots in the Eastern Region of Saudi Arabia in behalf of the Philippine Embassy. 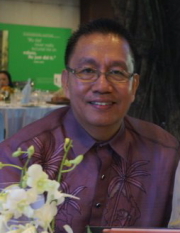 He had been instrumental in the repatriation of hundreds of overstaying Filipinos in the eastern region who were given amnesty by the Custodian of the Two Holy Mosques in Saudi Arabia in the 90’s by recommending them to the Philippine government to sponsor their one-way tickets to Manila. Among the significant labor cases he assisted that obtained the positive decision in favor of the complainants was the protest in 2004 of more than 100 Filipinos against their company for working 12 hours daily for seven days without overtime pay, rest day or holiday compensations, as well as the 4 Filipino mechanics who turned rich in 2006 when the Higher Commission backed their claims for unpaid overtime of 4 hours a day since their hire dates, that amounted to more than one million pesos in Philippine currency for each person. Alex bridged the gap and enhanced the relationship between overseas Filipino workers and the host country as well as the Philippine government. He was one of the pivotal figures that assisted in the privatization of a Filipino school in Al-Khobar and eventually in putting up a satellite office of the Philippine Embassy in the Eastern Region of Saudi Arabia via the Philippine Trade Center. He also introduced various livelihood programs to the OFWs and in fact collaborated with the Philippine government and OWWA in launching in 1995 the Kabuhayan 2000 (Ang Pagbabalik ng Pinoy) program of President Fidel V. Ramos. Alex has over 30 years overseas experience in the administration of human relations, recruiting, training and development programs which also includes preparation of manpower plan and department’s budget, monitoring and implementation of Company approved personnel policies and procedures and providing effective personnel service to personnel regarding housing accommodations, salary administration, and other employee administration matters. Also supports in the achievement of Company’s vision and strategic objectives. He is currently assigned in an aluminum project of a government-owned company in the eastern region of Saudi Arabia extending organizational support to the smelter team. In the past, he was the Executive Assistant to the Vice President of a precious metals and mineral resources mining company. He also provided administrative assistance to the Human Resources and Administration department of a SABIC affiliate. 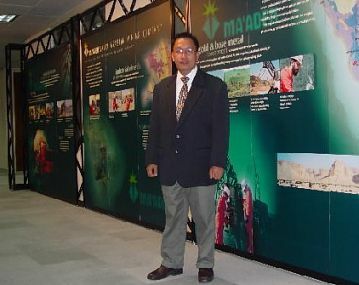 He was an Office Manager for a seawater cooling plant of the Royal Commission for Jubail and Yanbu, a Project Secretary of the Water and Wastewater Systems, also under the authority of the Royal Commission in Madinat Al-Jubail Al-Sinaiyah, and the Personnel Specialist of a Saudi-American firm supplying manpower and technical support to Aramco. Alex is a correspondent of the Arab News, the Middle East’s leading English language daily. He has also a column in Arab News’ PINOY XTRA, giving advice and conveying opinions on the Saudi Labor and Workmen Law, the Shariah Law and other local laws. Alex also completed workshops on Playwriting and Stage Management under the auspices of the Philippine Educational Theater Association (PETA) and the University of the East Committee on Culture. His first melodrama, HANGARING MAKAMANDAG, was awarded First Prize in an inter-university playwriting contest held on 21 September 1975, marking his debut as a playwright. Alex is the nephew of national artist, Victorio Edades. 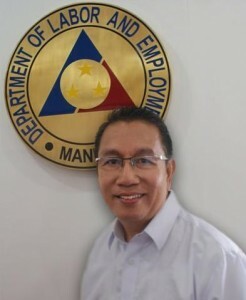 On July 27, 2012 – President Benigno Aquino III has named Kabayani Alexander Asuncion as member of the governing board of the Philippine Overseas Employment Administration representing the land-based sector.